Poor air quality harms health and can impact on ecosystems. Defra today announced the launch of the 2012/13 air quality grant programme, with funds of £2 million to support local authorities in tackling air pollution, in particular, reducing Nitrogen Dioxide emissions. Poor air quality harms health and can impact on ecosystems. Traffic emissions - one of the main sources of Nitrogen Dioxide - are often at the root of this problem. Therefore local action designed to tackle local problems will be especially important. Eligibility for the grant will be limited to English local authorities with one or more Air Quality Management Areas for NO2 or those authorities where the Government’s national air quality assessment in 2010 identified a high level of NO2 emissions in their area. 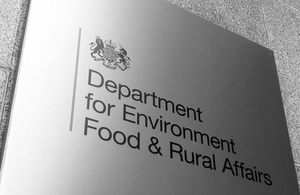 Local Authorities who receive grant funding will be required to provide Defra with a progress report by September 2013 to monitor the success of each project and how the money is being spent. The deadline for submission of grant applications is 22nd June 2012. This grant scheme operates under Section 31 of the Local Government Act 2003. The criteria for the grant period 2012/13 is broadly in line with the previous year in that it is focused on supporting projects which tackle nitrogen dioxide emissions.